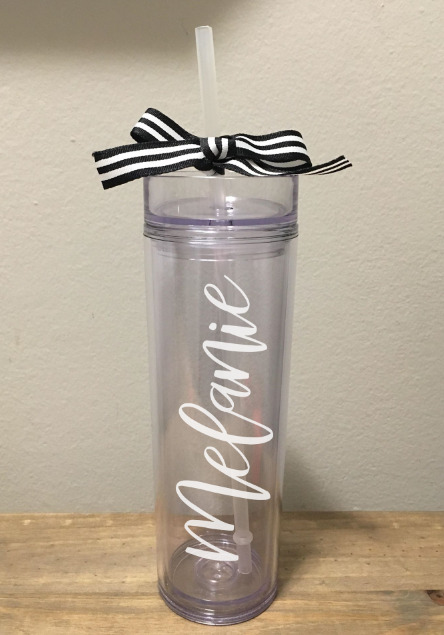 Skinny Tumbler is a 16oz double wall insulated acrylic tumbler. Made from high-grade 100% BPA free acrylic plastic, this tumbler is durable and ideal for everyday use. The plastic push-on lid creates a tight seal to prevent leaks and comes with a matching reusable plastic straw with slip stopper and custom design. Hand wash only.